Earl Thomas remained away from practice as the Seahawks held their final of three minicamp workouts this week. 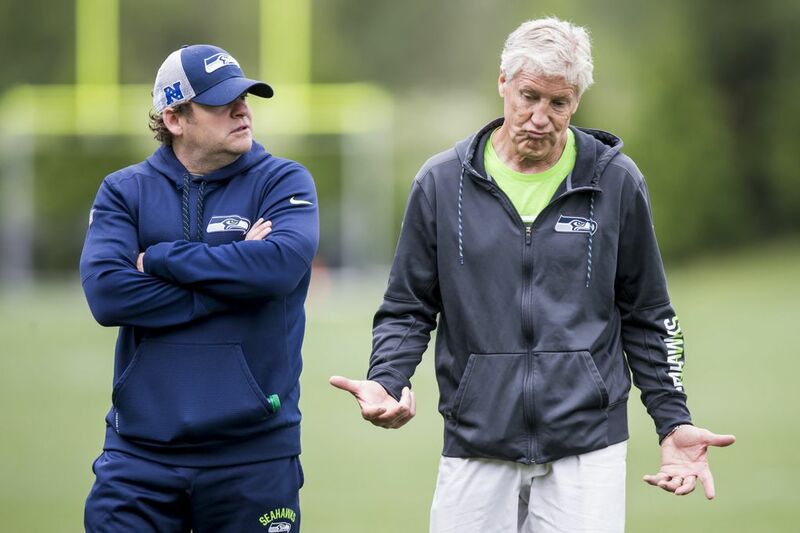 Seahawks coach Pete Carroll got one last look at his team on Thursday before the players headed off into summer vacation. 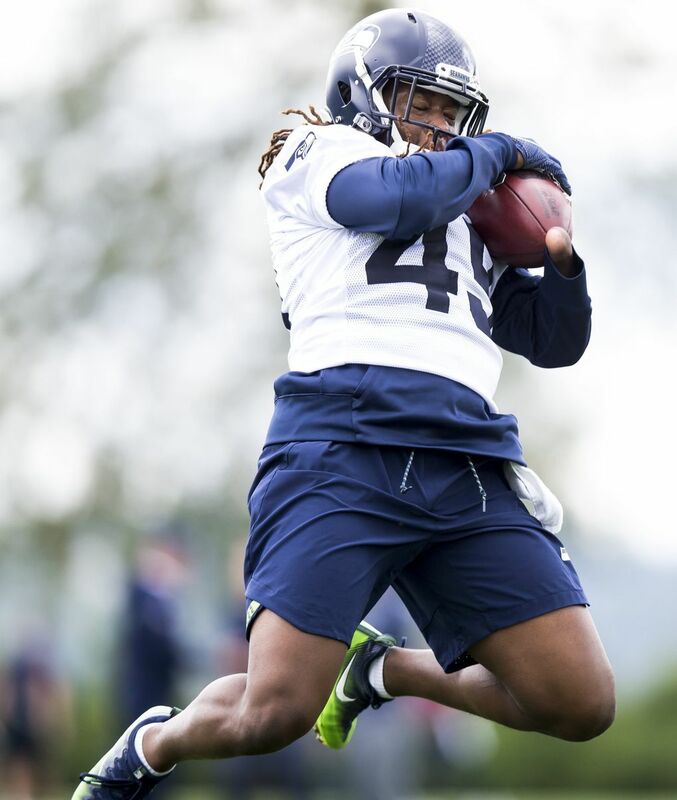 “We had a very, very good offseason,’’ Carroll said following the last of the team’s three minicamp practices this week. That’s an assessment that flies in the face of those who question the direction of the team after the Seahawks shed a number of high-profile veterans and remade their coaching staff. It’s also something that can’t truly be judged until the fall when games are played. But there were some things we learned on the team’s last day on the field until training camp begins in late July. Here are, well, a six-pack of notes and observations from Thursday’s minicamp wrapup. Maybe some thought Thomas’ minicamp holdout might lead to an immediate resolution. But that doesn’t appear to be the case. Carroll said Thursday he hasn’t talked to Thomas this week. And while he said “our guys are working. We are at work. They are busy’’ when asked if the team plans to have any communication with Thomas soon, there was no indication that any movement toward a contract is imminent. 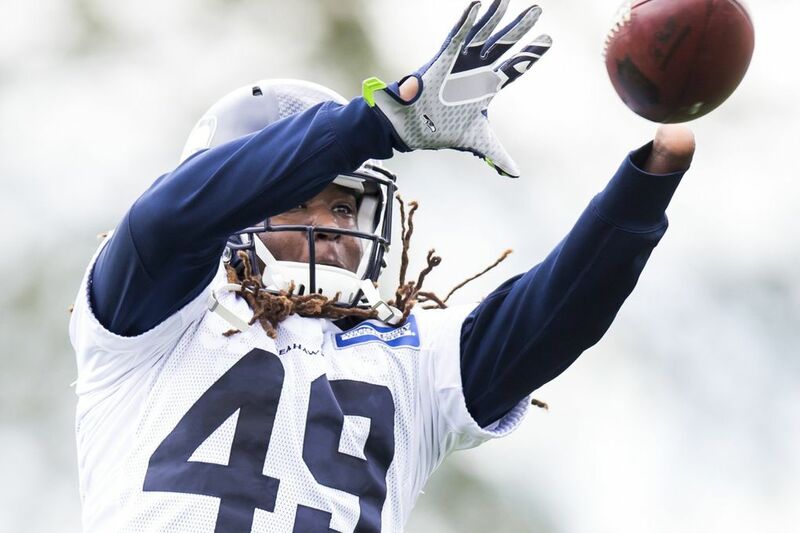 The Seahawks continued to rotate their safety combos throughout on Thursday, with the one constant being that Bradley McDougald was always with the ones, either at free safety pairing with Delano Hill at strong safety, or at strong safety pairing with Tedric Thompson at free safety. For missing all of minicamp, Thomas can be fined up to $84,435. Carroll also said there is nothing new on the status of Kam Chancellor and Malik McDowell, whose Seahawks’ careers may each be done. Otherwise, Carroll pronounced the Seahawks as pretty healthy, saying that every other other player on the roster could be ready to take part on at least a limited basis when training camp begins. 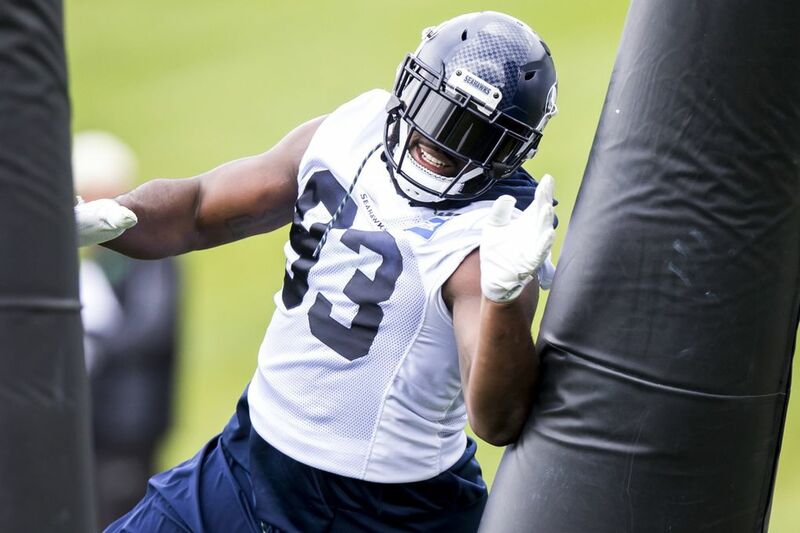 Maybe most notable is that the Seahawks expect offensive tackle George Fant to return when camp begins as well as defensive end Dion Jordan. The Seahawks will also get their first real look at receiver Brandon Marshall when camp begins. 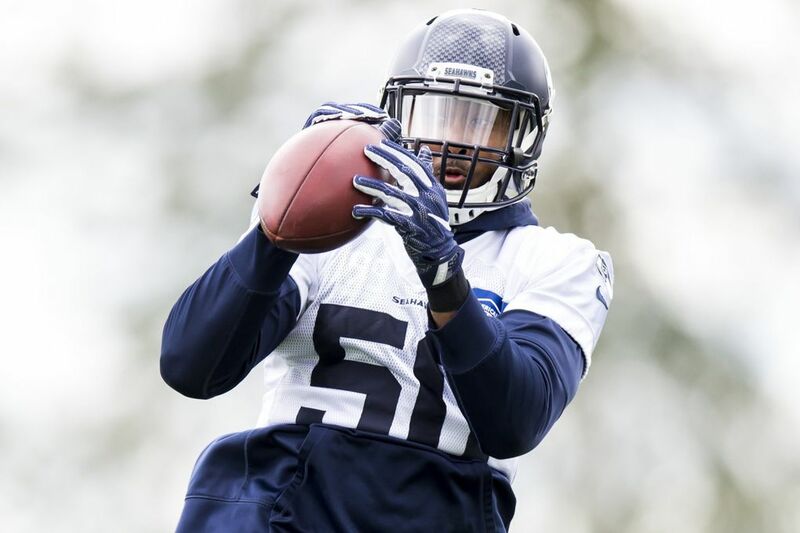 Marshall has not taken part in any team drills since signing with the Seahawks on May 29 with Carroll clarifying on Thursday that he has been resting a hamstring issue. But Carroll said that should be cleared up when camp begins. Both Sebastian Janikowski and Jason Myers took turns with the field goal team Thursday — Janikowski working with the starting unit and Myers with the backups. 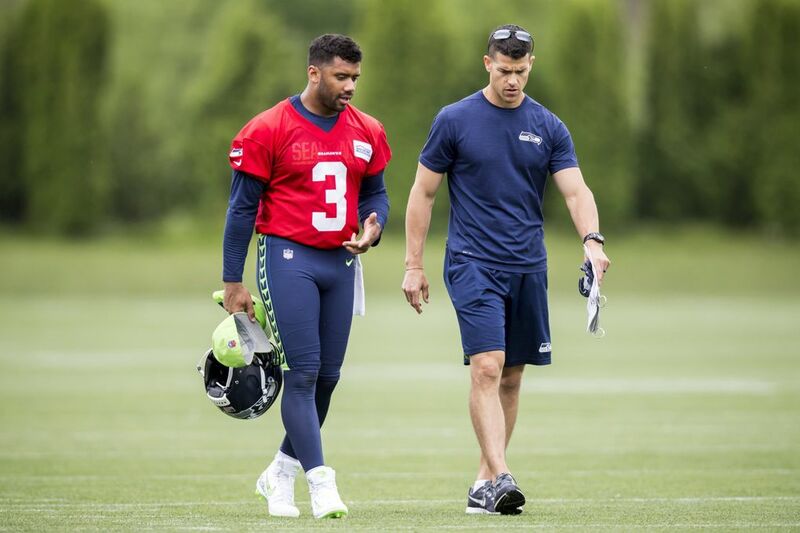 Carroll said the battle between the two to replace Blair Walsh figures to continue well into training camp, with the team potentially rotating each by halves during preseason games. “It’s going to be real competitive,’’ Carroll said. 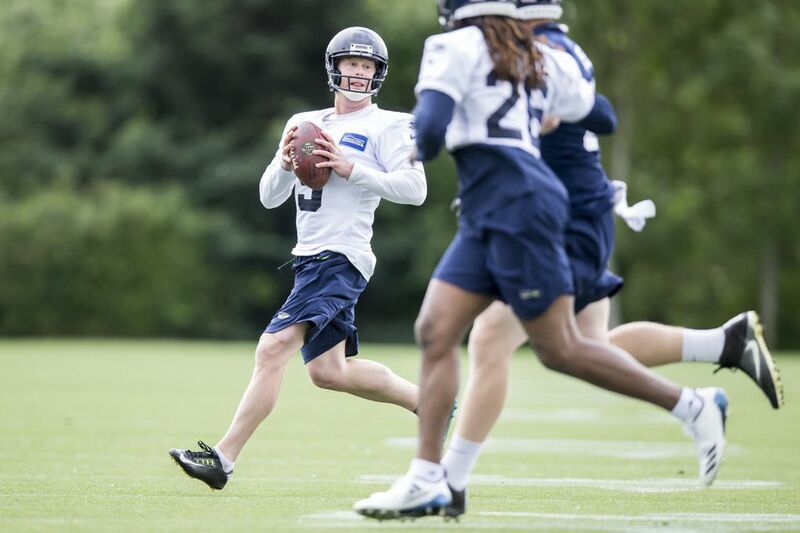 Carroll said the same of the punting competition between veteran Jon Ryan and fifth-round pick Michael Dickson. That Dickson was drafted and waiving Ryan could save $2 million against the cap appears to give Dickson a significant edge. But Carroll insisted Ryan will be given every chance to keep the job he has held since 2008. One underrated factor is that the punter is expected to also hold for place kicks. Ryan held for Janikowski throughout minicamp while Dickson held for Myers with the second field goal unit. Carroll, as might be expected, sung the praises of the team’s entire 2018 draft class saying so far the team has seen what it hoped to out of all of them. But he made an interesting observation about Griffin, whose selection in the fifth round was widely celebrated due to his inspirational story and reuniting with twin Shaquill. 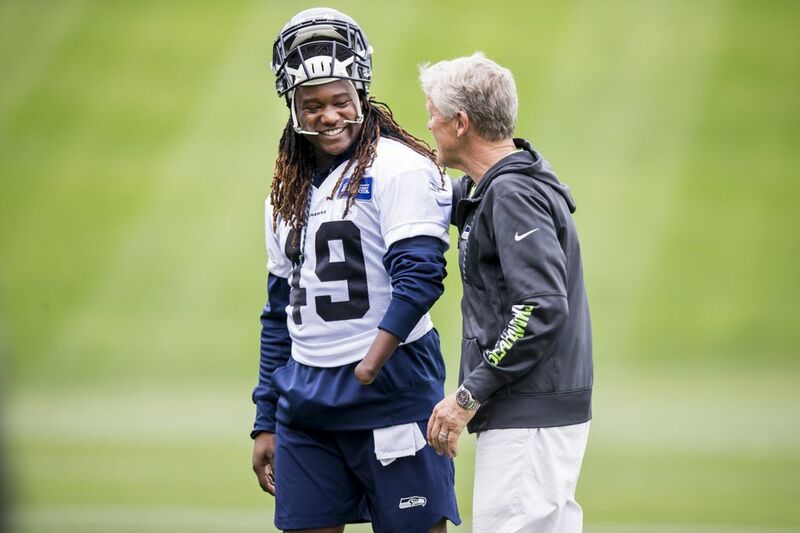 Shaquem Griffin is being moved to weakside linebacker and Carroll said there was a bit of a learning curve early. Chris Carson was maybe the standout player of the Seahawks’ offseason, showing he is fully recovered from the ankle injury that ended last season and looking even more assured and confident in his second NFL season. If the season began today he would likely be Seattle’s starting tailback. But the Seahawks also appear happy with the progress of Penny, their number one pick out of San Diego State. Penny could rotate with Carson and the two could also find themselves each on the field at the same time. Penny could also be used in third-down and two-minute roles. One thing that will help get him on the field more is if he can show he can pass block, something the team cited as his biggest area for improvement when he was drafted. All assessments of blocking this time of year come with the caveat that there are no pads and no contact in the spring. But in terms of understanding the concepts and improving fundamentals, Carroll said Penny has made significant progress. Seventh-round pick Alex McGough got most of the backup quarterback reps on Thursday as the team wanted to give him a lot of work. 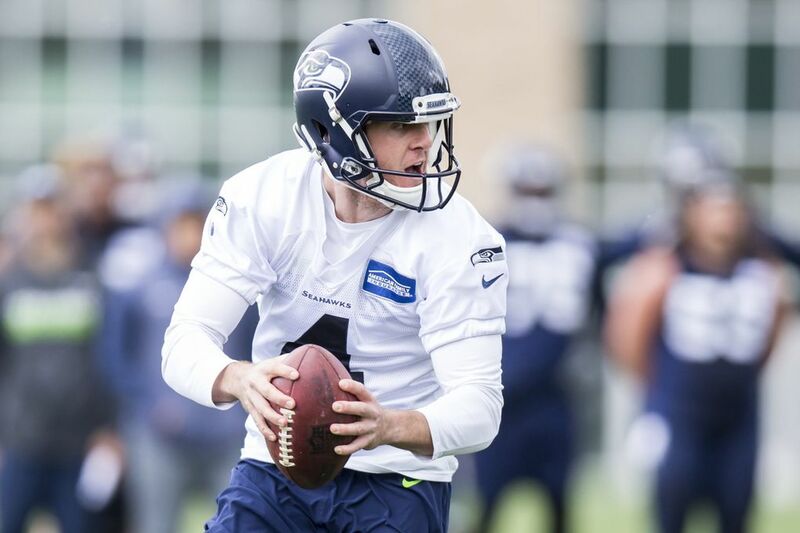 McGough turned in maybe the play of the day when he hooked up with Marcus Johnson on about a 50-yard pass during a two-minute drill capping a camp in which Carroll said he showed enough to go into the summer as legitimate competition with veteran Austin Davis to back up Russell Wilson. 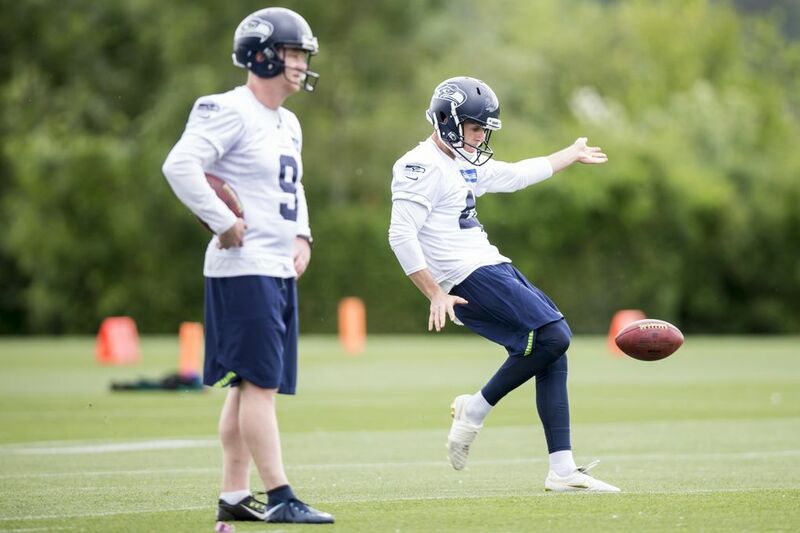 A look at Seahawks’ punters at minicamp June 14. Seahawks coach Pete Carroll talks about the end of minicamp Thursday.